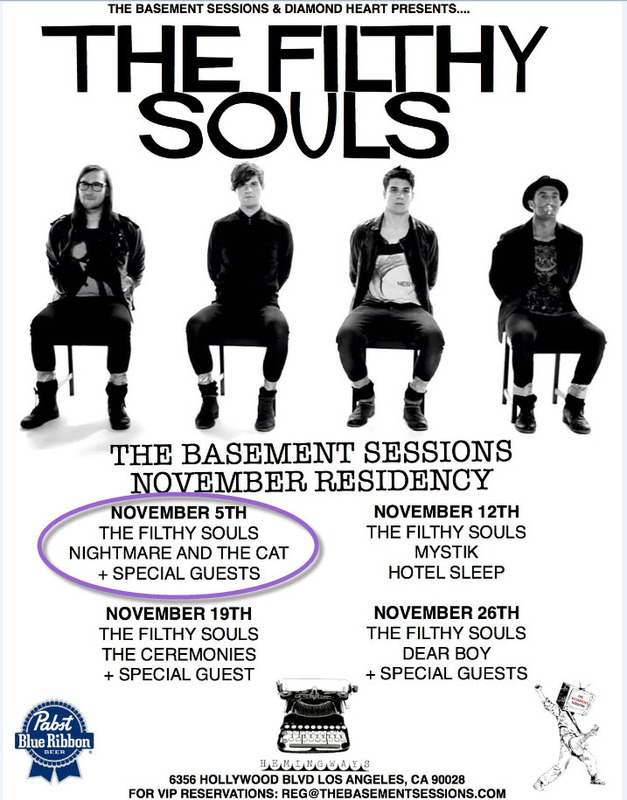 Today I’m like a girl in a candy store…..The Filthy Souls have released a video for their song ‘Destroy You’, which has been in rotation on KROQ’s Locals Only show for over a month!! So excited for this band!! One thing I love about the video is the fact its in Black & White. Most would think it would be easy to film this way but I honestly think its more challenging and it has a certain artistic flair. On Tuesday evening I finally had a chance to see The Filthy Souls at the KROQ: Locals Only show at The Roxy. I was delighted to find they were even better than they expected. I usually find new music at live shows, so I’m leery of finding music when I find someone online. I wonder will they be good live? Can they keep me engaged? Or are they assholes who’d make me leave in the middle of the set. The Filthy Souls were AMAZING! And yes they’re on my list of bands I need to see again, and again!